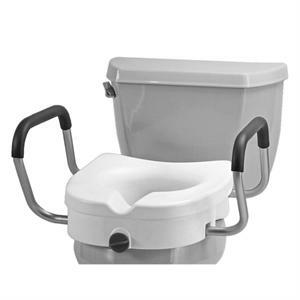 Adds 5" to the height of the toilet seat to aid in sitting and rising. Front locking mechanism for easy installation. Width Between Handles: 17.5" - 19.5"